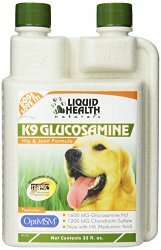 Just as with you and I, your aging GSD has new health considerations that must be thought about as your German Shepherd matures. It is easy to overlook, especially if your German Shepherd is in its prime right now. However, your aging animal has new needs that must be met just as with any other aging animal or human being. A change in lifestyle, preventive measures such as Glyco-Flex for Dogs and lots of love can help your dog in its journey from prime time to down time. First, just how old is your dog - really? Depending on the breed and size, your pet may have a life expectancy from around eight years (for most of the giant breeds) to fourteen or more (for the toy/smaller breeds). Keep in mind that these are only approximations - your pet, depending on its health and quality of life could live longer (or shorter) than these figures. Most dogs fall anywhere between these two. Typically, German Shepherds life spans fall somewhere in the 11-13 year range. Additionally, your aging GSD will begin to show signs of aging based on its quality of life, condition of health, size, breed and hereditary considerations. It seems that in many dogs, work is one key to living a long and full life. Most dogs recorded for living long periods of time were working animals - active herding dogs, movie stars/ actors, or involved in other types of mental and physical stimulation. This above all seems to be a key factor in helping your dog live to a point closer to its true life expectancy- and in a way of better and fuller health. 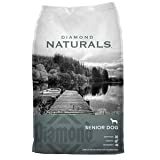 Changes in dietary requirements, an understanding of potential diseases and of your dogs potential needs is your best defense in helping your dog in this time of change. Many things may hamper your dog from play or simple day to day activities as it ages. Arthritis is just one example. Also, as with humans, dogs will tire and slow down much faster as they age which leads to one of the most common mistakes people make with their aging pets - OVER FEEDING. Just how this happens can be quite easy. The GSD teaches its human to feed it by begging, looking cute, doing a favorite trick, etc. until the owner gives in. Over time this added caloric intake can take its toll and result in extra weight. This is one of the major areas that can cause health problems as the German Shepherd grows older. To detect if your GSD is overweight simply run your hands down the dogs sides. If you can easily feel the ribs and there is a degree of tapering near the dogs mid section (just in front of the hind legs) your pet is probably not overweight. If you are unable to feel the ribs and there is to tuck up, chances are your dog is overweight. Your vet can offer you ways to alter your dogs diet if it is too heavy or can answer any other questions you may have concerning your pet and obesity. Exercise is an invaluable component for any type of weight loss - for animals or humans. Initiate play with your aging GSD. Dog training can still occur with your older pet. Encourage it to play catch, fetch or whatever games you played with it when it was younger. Even walking your dog can be quite beneficial- for both you and your pet. Remember not to overdo it, however. If your dog begins to pant heavily, allow it to rest. Some animals, like children, don't know when to stop once they begin to play. The benefits of a healthy and fit German Shepherd highly outweigh that of an unfit dog. First, the risk of getting heart disease or other health problems such as diabetes, is lower. 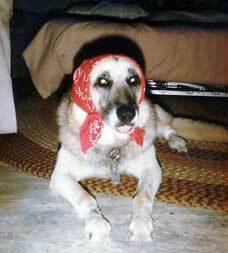 Also, with early prevention, many aging GSD related health problems can be averted. Consult your vet with any questions or at the first sign of any health problems concerning your aging GSD. 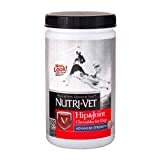 Below are a few alternative supplements to help treat arthritis and other joint diseases we commonly see in the German Shepherd and have proven to be very popular.